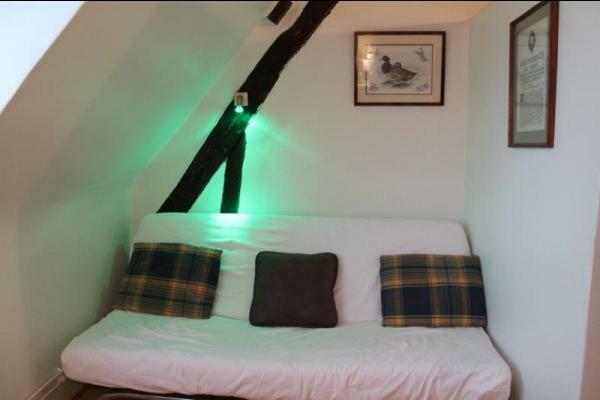 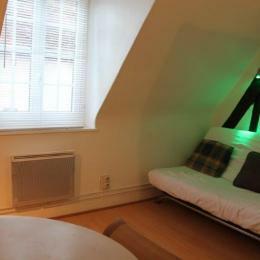 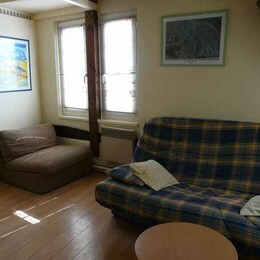 In the centre of Chartres, in a quiet area near the cathedral, a bright studio flat with visible beams. 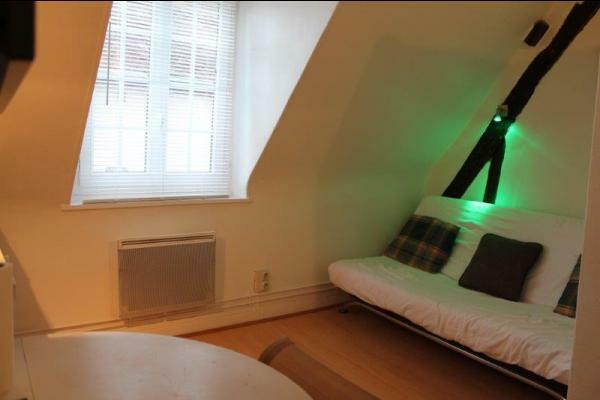 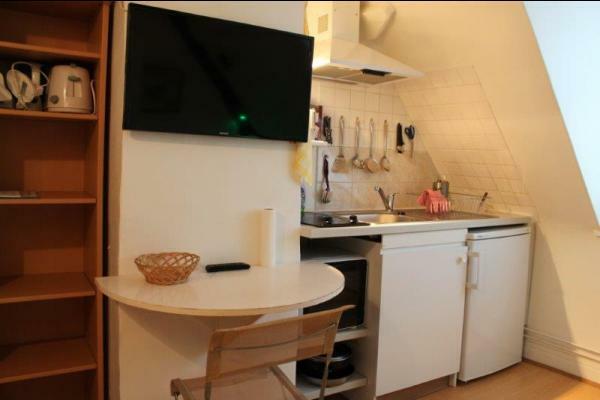 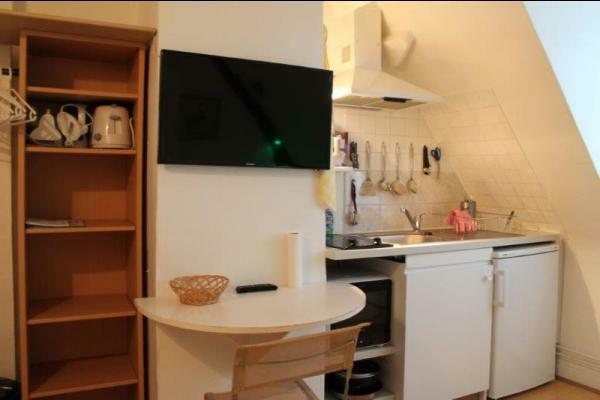 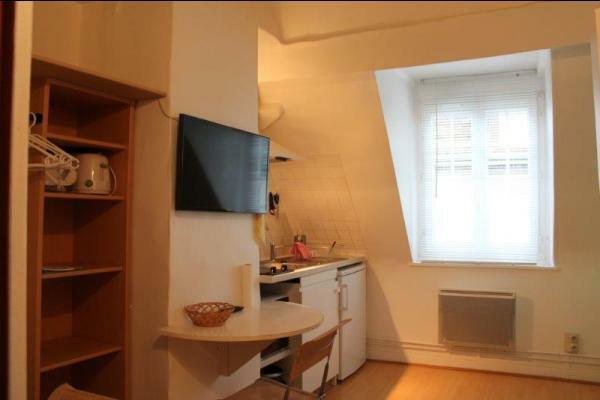 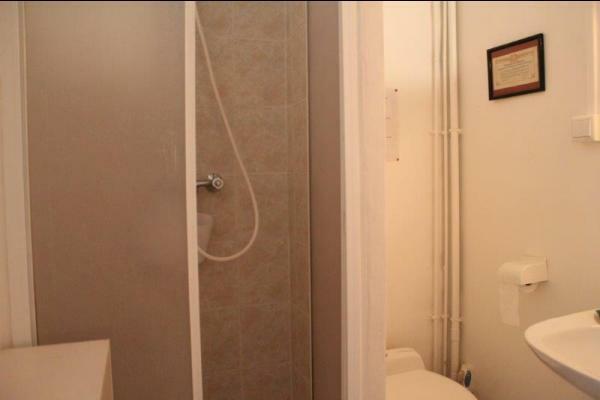 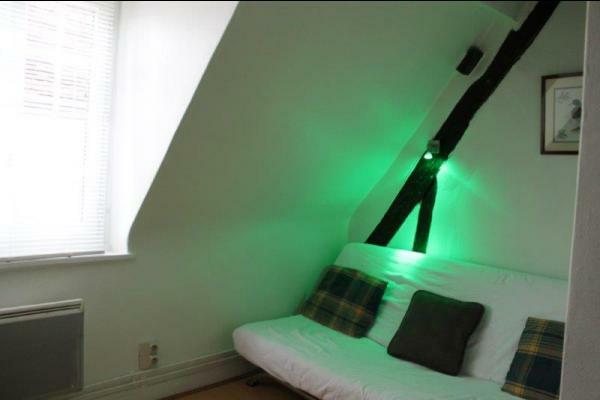 / 1-star rated, 14 m² studio flat on the 3rd floor (no lift), fully renovated. 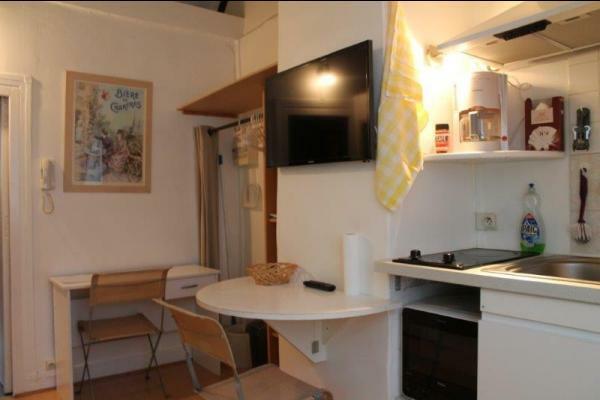 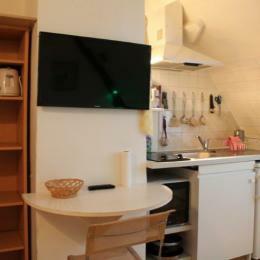 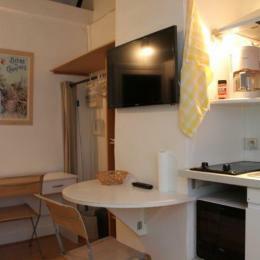 It comprises a fitted kitchenette with a microwave and sofa-bed. 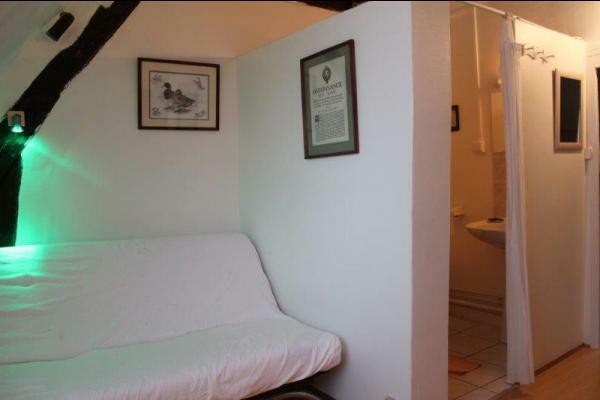 Shower room/WC. 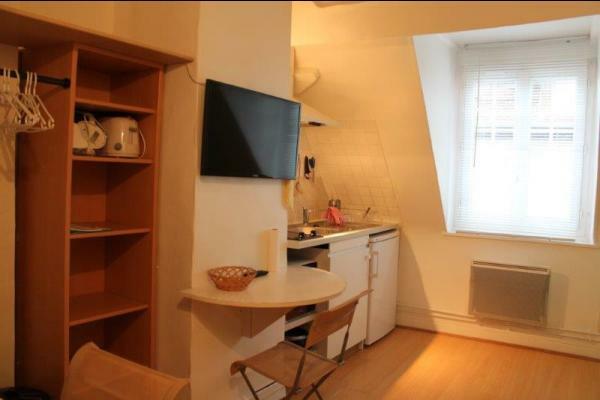 TV and telephone socket. 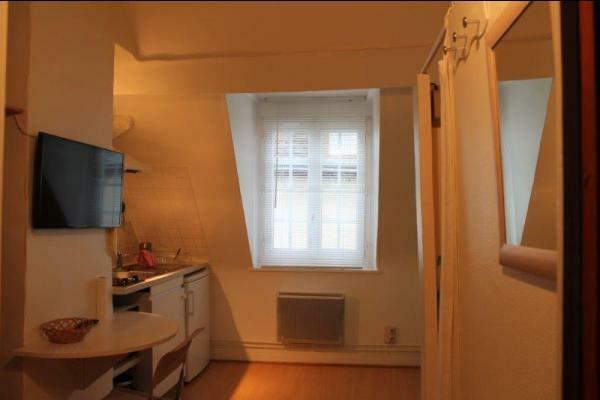 Entrance hall with cupboards.